kate rusby, originally uploaded by alister. 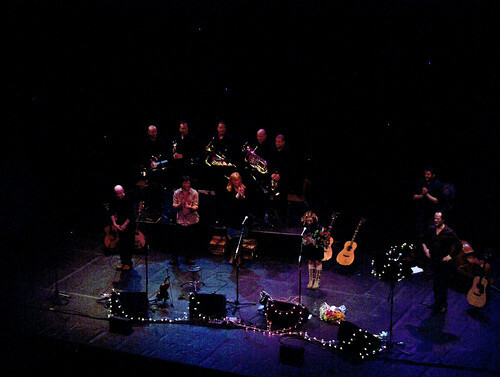 Kate Rusby live at the Usher Hall, Edinburgh. November 27th 2005. Never seen Kate and band before, indeed I knew her only by reputation and was unfamiliar with her music. A wonderful voice and warm, mischievous Yorkshire humour bringing life to folk music both traditional and contemporary from around England, Scotland and Ireland. Pretty funny joke about maltesers too.